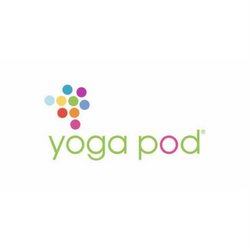 Yoga Pod is here to help you build your physical skills, challenge you along the way, and achieve a greater sense of presence. Our classes are built for all levels, from beginner to advanced, and will guide you to a greater state of health, well-being, and connection. Each class will allow you to increase your body awareness, flexibility, and strength all while decreasing stress and providing a platform for personal growth. Everyone is unique, and your experience will be too. We recommend that you try all of our styles to experience the breadth of our offerings. Importantly, we are here to help guide you. As we too were once in your shoes, both as a brand new student and an avid practitioner, we are here to guide you during your yoga and fitness journey. Please call our studio or talk in person to any of our excellent staff and they will be able to assist you directly. Most importantly, know you can do this! See you on the mat.